DON'T FALL DOWN IN THE HOOD is a hard-hitting, urban documentary that takes an uncompromising look at the epidemic of juvenile violence through the eyes of the youth themselves. As the film opens, the city of Philadelphia has been dubbed America’s Murder Capitol. There is an average of one Black or Latino male shot to death – Every Day. 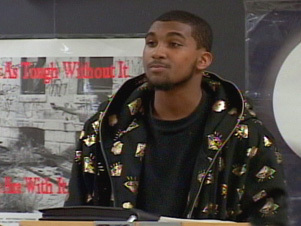 The film focuses on two teenaged boys, Malik and Kenny, who are both victims and perpetrators of violence. Arrested for gun and drug crimes, the youth have been enrolled in the city’s ground-breaking intervention program, Don’t Fall Down in the Hood. 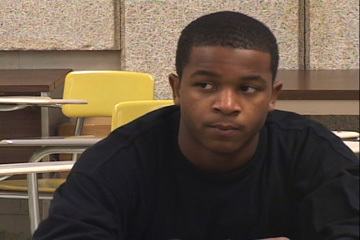 For these young men, the program is a last ditch effort to save them from jail, and to very possibly save their lives. At age15, Malik is already a veteran of the drug game. Even narrowly surviving a gun shot to the back - a failed attempt on his life - did not deter from the streets. But the sudden murder of Malik’s brother sobers him. Although he still reveres the streets, he is ready to make a change in his life. To successfully complete the program, Kenny must begin to heal the deep hurts of his past, and Malik must choose between his 'homies', the streets and his his future. Juvenile gun violence and homicide is on the rise in many cities across the nation, yet violence intervention programs continue to be cut and/or under funded. DON'T FALL DOWN IN THE HOOD is more than just a film about juvenile violence in Philadelphia. It is a testament to the need for national support of youth violence intervention and to the fact that most young men can overcome their challenges and learn to stand on their own.